Santa Claus is Coming! 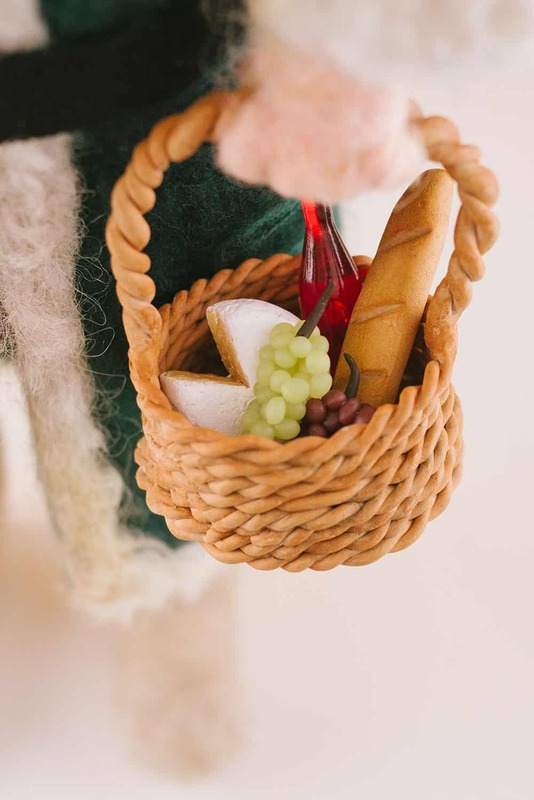 - The Petite Provisions Co.
I’ve been dying to share these Santas ever since I first started them back in September, and now that they’ve gone to their recipients, I finally can! 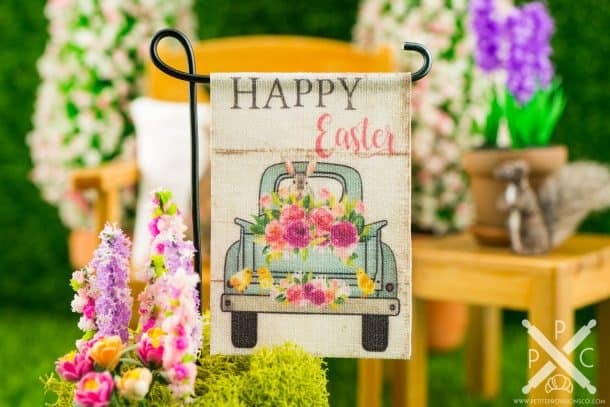 I had so much fun creating them – each has his own distinct personality. Perhaps I’ll get to working on lady friends for them for next year! 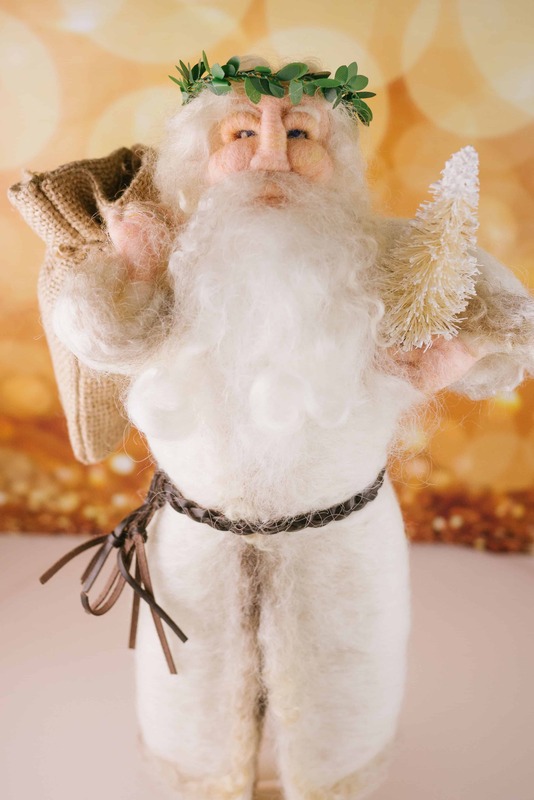 First up is this all-white Father Christmas! 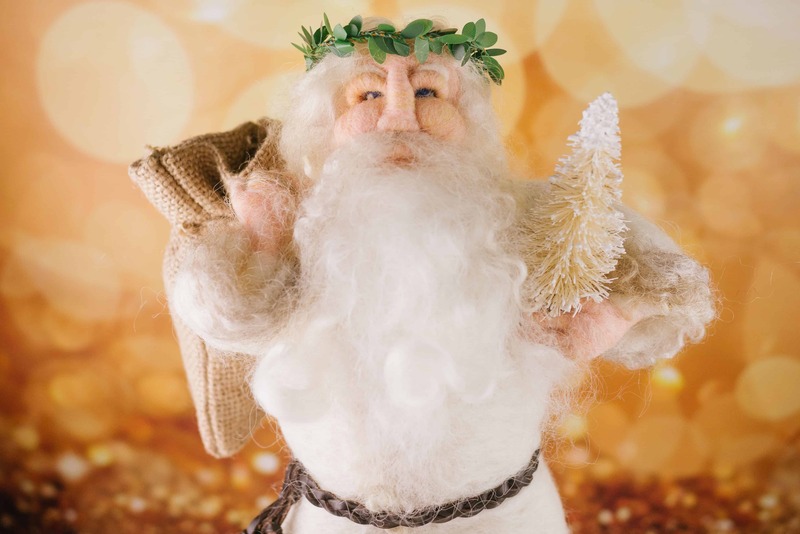 He definitely has an Old World vintage vibe, with his boxwood-wreathed head and burlap sack. 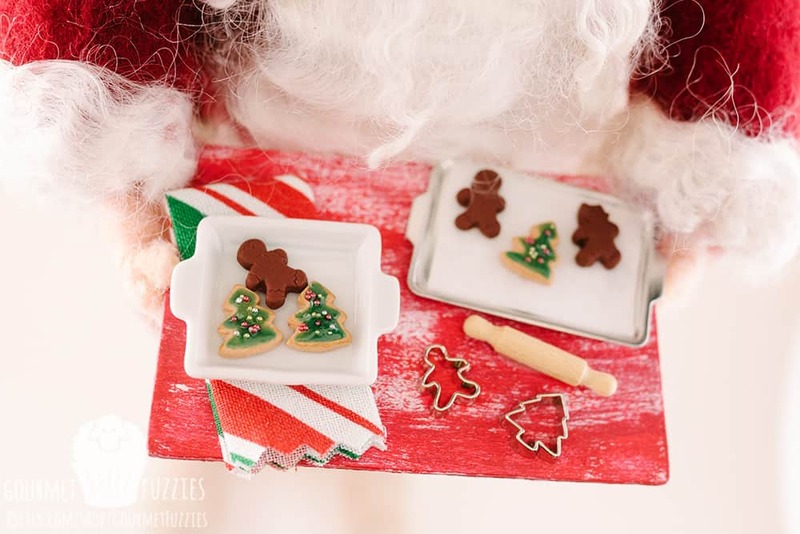 This more traditional Santa Claus is dressed in red and has a tray of cookies! I handmade all of the cookies from polymer clay. 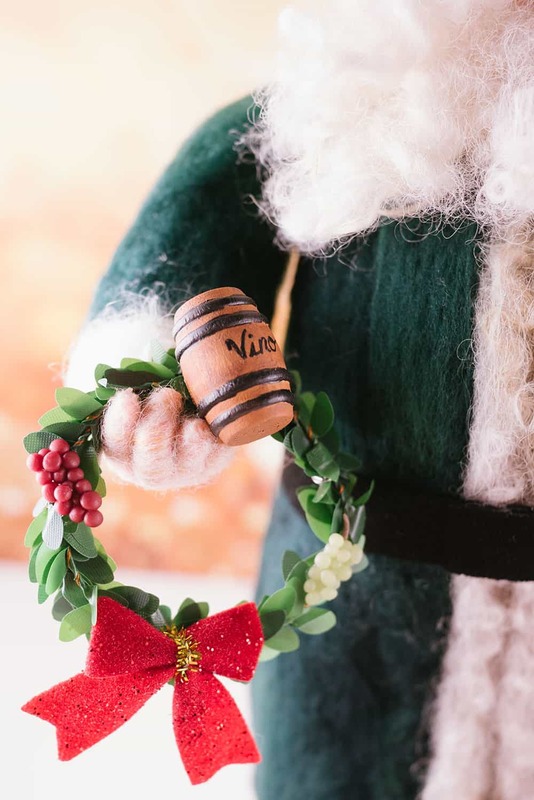 Lastly, this is a wine-loving Santa! 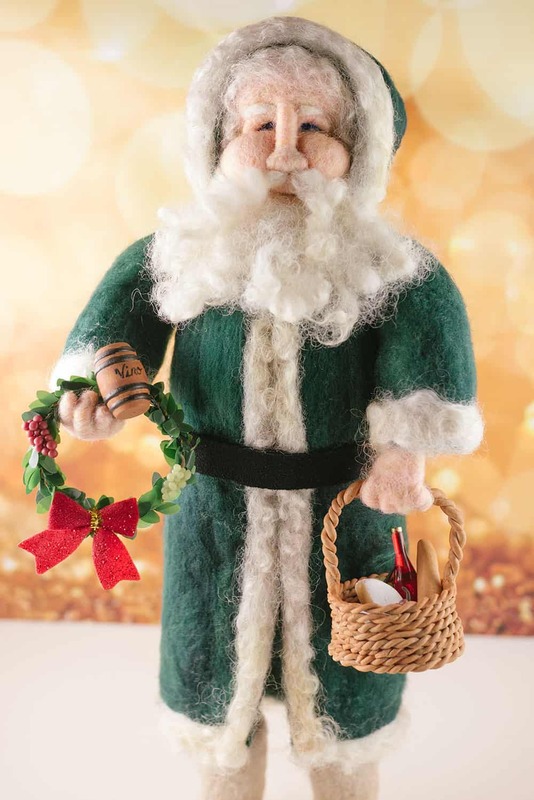 He is dressed in a forest green hooded coat and is carrying a basket of wine, brie, grapes and a baguette (all handmade polymer clay) along with a wine-themed boxwood wreath! 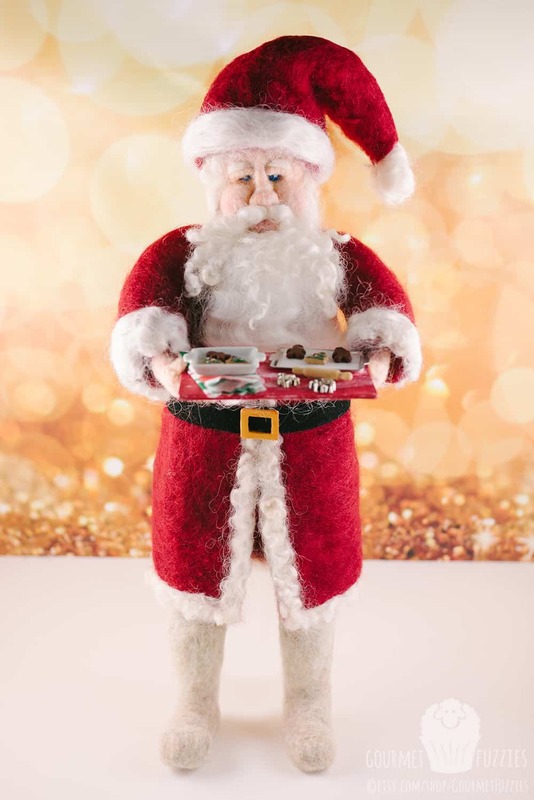 All of these Santas were inspired by Sarafina Fiber Art’s AMAZING tutorials! « Christmas Mice are Here! 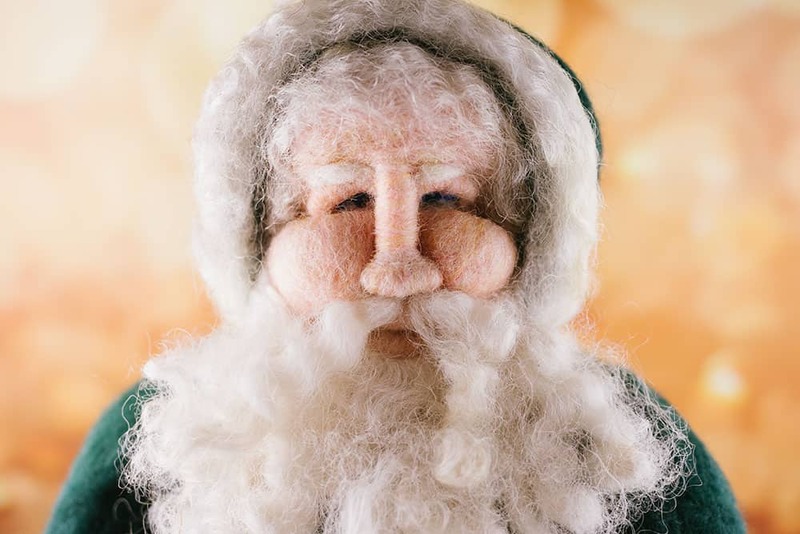 1 Comment on Santa Claus is Coming! LOVE THEM ALL !! EACH HAS HIS OWN SPECIAL APPEAL!